Struggling to come up with the perfect names for your delicious duo? 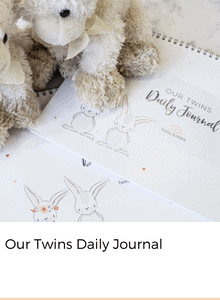 It’s often hard enough to agree on a name for one baby – let alone twins! It gets even more challenging if you have decided to wait to find out the twins genders until they are born! You might want to have three combinations of names to choose from depending on what pops out. 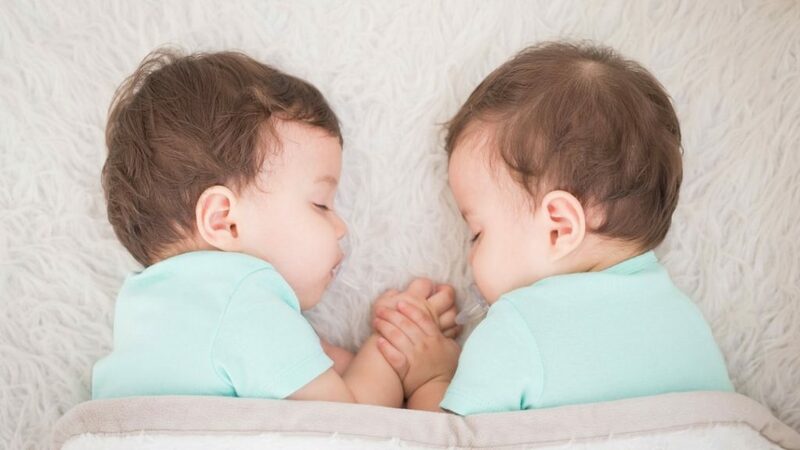 Huffington Post outlines ways to choose baby names for twins that I thought was quite genius and a great place to begin if you are having trouble even starting down the thought process. They offer a range of options from the obvious to the very subtle. The most obvious and popular way to name twins is by giving them the same first initial: Ella and Emma or Lilly and Logan. If you are looking for the easy option then this is by far your best choice. Choose your favourite name and then scroll down the list of names with the same first letter and draw up your short list – easy! 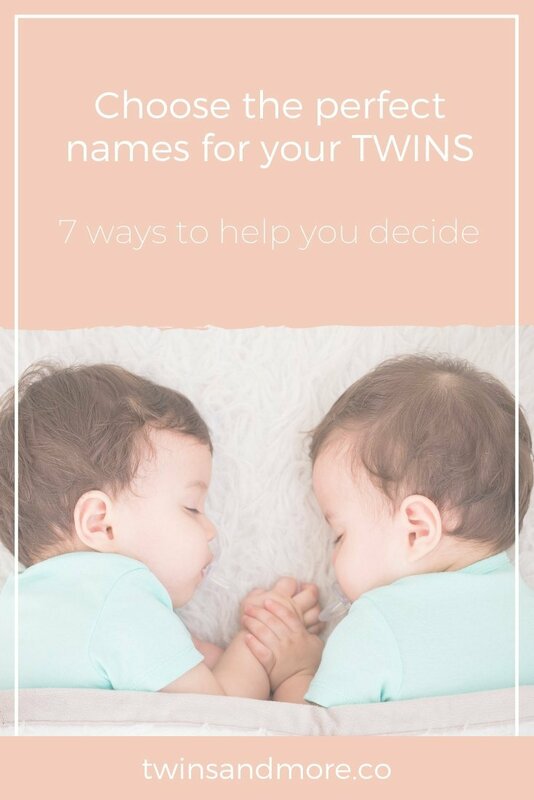 Less obvious than matching the first initial of the twin names are choosing two names with the same number of syllables or similar sounds. You might pick two one-syllable names such as Bea and Max, for example, or two names that share a middle or ending sound, such as Oliver and Everett or Aiden and Carson. Style is a subtler way to link twin names and one which you can have a bit of fun and imagination with. You can make compatible pairs of classic names such as Jacob and Olivia or fashionable names like Madison and Jayden or unusual exotic names such as Santiago and Sebastian. Meaning can be an interesting way to quietly link twin names. Some common name meanings offer a wide range of names to choose from. There are 440 names on Nameberry with a meaning that includes the word God, for instance, so you can find pairs that range from the fashionable Caleb and Amos to the sedate Elizabeth and Jane. More specialized meanings offer fewer options but a closer link: Aurelia and Cressida both mean gold, for example, while Ariel and Leo share a lion meaning. Names linked by origin can be quiet or more obvious. Many people would recognize that Duncan and Malcolm share a Scottish heritage, for instance, but fewer people would identify Blair and Cameron as sharing the same Scottish origin. You might choose names with a children’s book theme, for example, such as Matilda and Alice, or two names with secret nature meanings, such as Yara (which means butterfly) and Paloma (dove). Other theme examples might be place names, surname-names, or names that relate to the sea. Finding two names with similar standing on the popularity scale can be a simplified way to identify a compatible pair. These might be Top 50 favourite like Nathan and Isaac (which also share a Biblical theme and a Hebrew heritage) or a more unusual pair such as Freya and Lilia, side-by-side at Numbers 08 and 09.